First up: A product from the Barton family of bourbons by the Sazerac Company. Ten High! This is not the best bourbon. Heck, it is one of the worst. Sazerac makes some really, really good bourbons. This is not one of them. Under $15.00 for 1.75 liters. You could run your car on this cheaper than gas. However, for our purposes, it is important. So, get a glass, put some in, neat, and take a few sips. Just when your stomach, tongue and any sensibilities you may have are getting ready to attack you, you…..
May cause brain damage, but the world is ending – Who cares? Pappy Van Winkle 23 Year Old – This is one of the finest of bourbons, and not so cheap. Put it on a credit card, you won’t have to pay, the Mayacolypse is almost here. This is hard to find because they have had very limited bottlings. They generally do only a few thousand bottles at a time. The price would probably be around $250 to $300 per bottle (Ten High is seeming like more of a bargain here). Drink it neat. Water or ice will just destroy the fine flavors. With a sweet, oaky nose with lots of vanilla, this bourbon starts out great. The flavor continues the oak and vanilla and you really taste the wheat. It finishes sweet with just a hint of bitterness at the very end. Sip and enjoy. Contemplate the errors of your life and realize that after the world is destroyed, who cares? Occasionally sniff the Ten High to remind you just how good this Pappy is. Jeppson’s Malort! Here is the link to our original discussion of this liquor. Exactly like eating a tire fire. The point here is, after having the Pappy, and basing this on their own statistics, 49 out of 50 men will welcome the end of the world after this drinking tour de force. 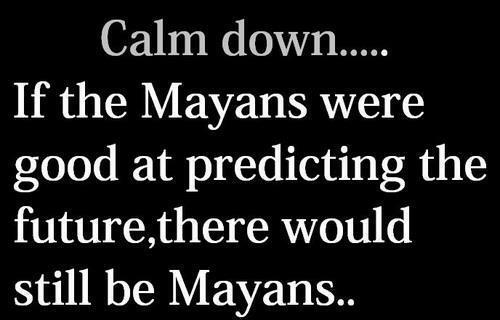 So, bottoms up to you, Mayans! Good Game! 23 Years. Excellent in women, superb in Bourbon!